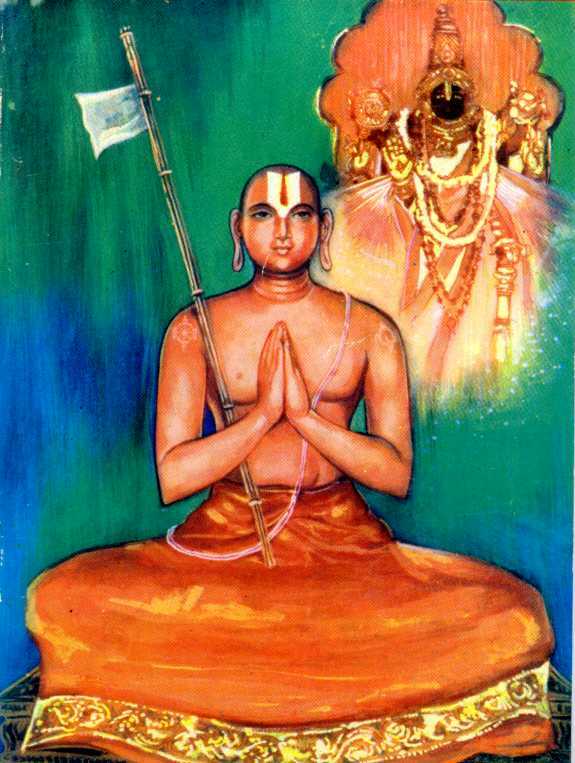 Ramanuja emphasised on rising above differences. In the light of the explanation of the terms ‘Samanvaya’ (Synthesis) and ‘Sariratmabhava’ we can appreciate the attitude of Ramanuja towards society. Ramanuja believed that the entire universe being a part and parcel of the body of the Lord, it is impossible to speak of the societal hierarchy in terms of castes and communities. It is true that distinctions do persist, but still there is no difference of high and low among the components of the body, which are necessary to keep the aggregate in tact. Ramanuja’s social philosophy means that the different inhabitants with all their diversity in habits, qualities and actions, make the society a body . The teachings of Ramanuja must be understood in this total sense of unity in diversity. To present a philosophical system without this sense of spiritual solidarity is to cut at the very root of the Vedantas because their teaching is meant for one and all. Commenting upon the Gita verses, Ramanuja stresses the point that all the living beings are the ‘same’ (sama). Sri Ramanuja was moved on the one hand by the ignorance of the lower classes in society and was irritated on the other, by the way in which the rigid rules of caste and community were applied by a few for their own personal aggrandisement. For obviating this age-old blunder, Ramanuja decided to approach the people and educate them on their own eligibilities and duties. He wanted to highlight for them the provision that exists in the scriptures, and for guiding them also in the spiritual path, provided they cooperated with him. He wanted everyone to know what he or she is not capable of accomplishing. They had to be told about personal responsibility, capacity, opportunity, dignity and at the same time, the need to cultivate humility and equanimity. He felt that it is everyone’s birthright to live peacefully in society and to do all that is necessary that ensures bliss in the other world. Life in this world does not necessarily bring in misery and despair. It provides an opportunity to take up an active and suitable role with cheerfulness and composure. 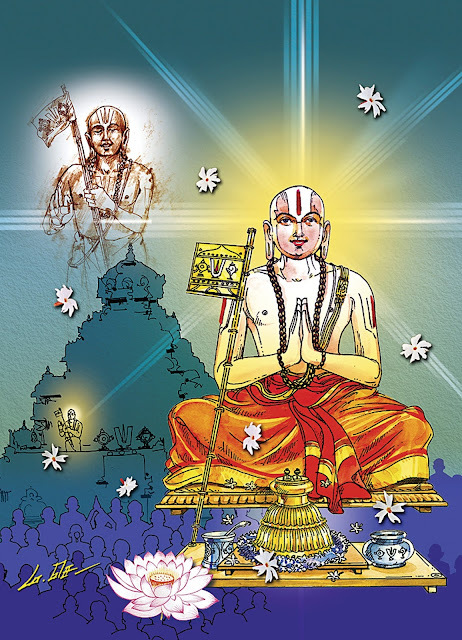 Everyone is entitled to know the ‘secrets’ of scriptures through a qualified Guru, who, according to Ramanuja, is a large-heartedand bold person who can take the masses with him. There is no purpose served by blaming the lower strata of society for their birth or non-eligibility or disability to understand the scriptures which are all invariably composed in Sanskrit. A knowledgeable person should reveal to them what they have been denied so far, i.e., the right to know what the scriptures contain. None can deny the fact that all are equal before God. 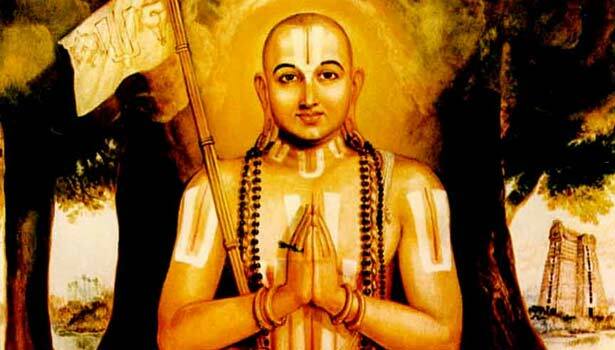 Ramanuja had a very clear insight into the nature of life in society, which is necessary for the progress of mankind. Education, personal equipment and enlightenment are the birthrights of any human being. As a philosopher, he was, of course, the great one who provided a cogent interpretation for the seemingly irreconcilable streams of Bheda and Abheda found in the Upanisads. But he had tremendous interest for his fellow beings. He did not give up the age-old tradition of Sruti and Smrti in understanding the value of life, discipline and dignity. The Gita speaks of the qualifications of the leader of society. In Chapter Three, Lord Krishna tells Arjuna that Karmayoga was preferred by King Janaka and other Jnanayogins for securing a vision of the self. This Karmayoga is characterised by performing one’s duties without aspiring for the results. One has to carry on his duties keeping in mind the welfare of the ordinary people. The reason being: Whatever a distinctive person does that other men also will also try to emulate that. To what extent he carries on his work, others also will try to follow. An accepted leader must therefore be very careful in charting out his programmes, from conception to the final execution, says Ramanuja. The next two verses explain the basis for the work in society to be carried out by a distinguished person in a society. From these illustrations it is clear that Ramanuja, as a social philosopher, never preached renunciation of duties. Nobody has a right to do so. 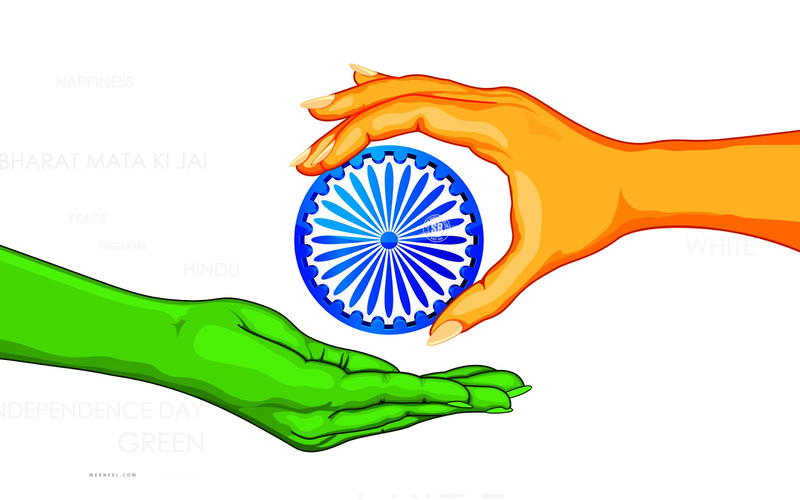 Social service, according to Ramanuja, has two aspects: (a) providing an opportunity for all the people uniformly, and (b) permitting the development of the capacity which is there in all the people. But these aspects are based upon the social discipline which is maintained only in the presence of mutual trust, love, respect and tolerance. The content is an extract from the book, ‘Sri Ramanuja and His Socio-Religious Thought’ written by Mrs. Y.G. 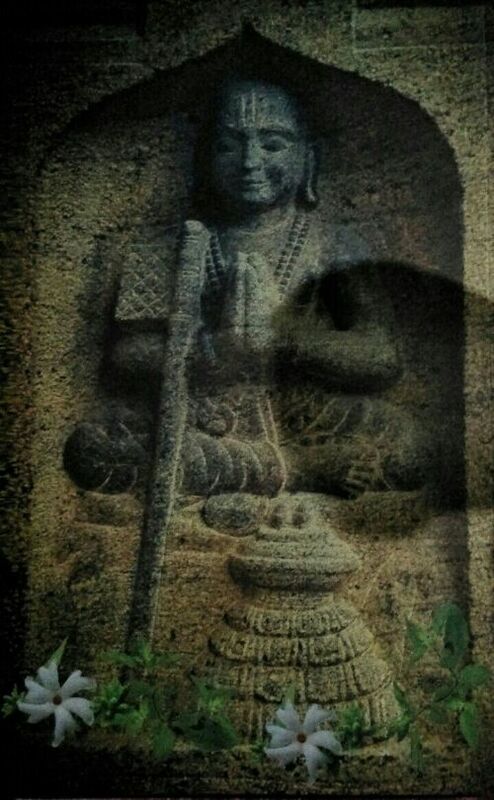 Rajalakshmi.